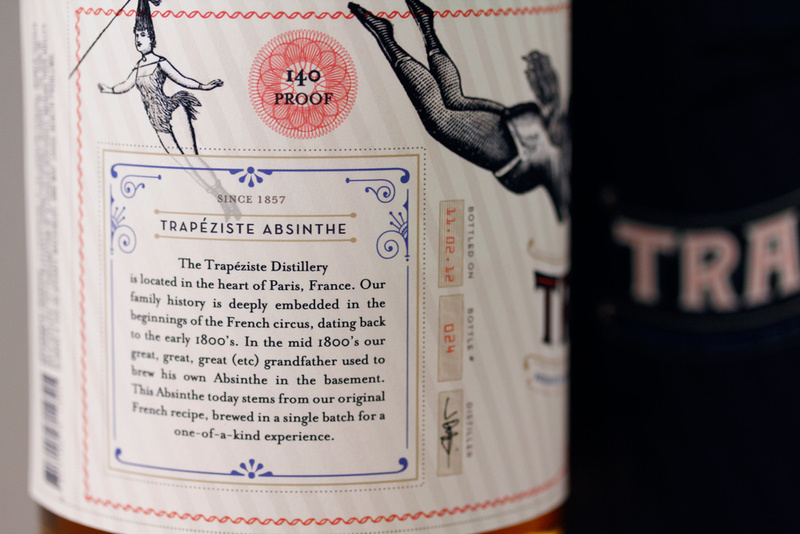 Trapéziste Absinthe hails from an old distillery whose ancestors were travelling trapeze artists in the French circus. 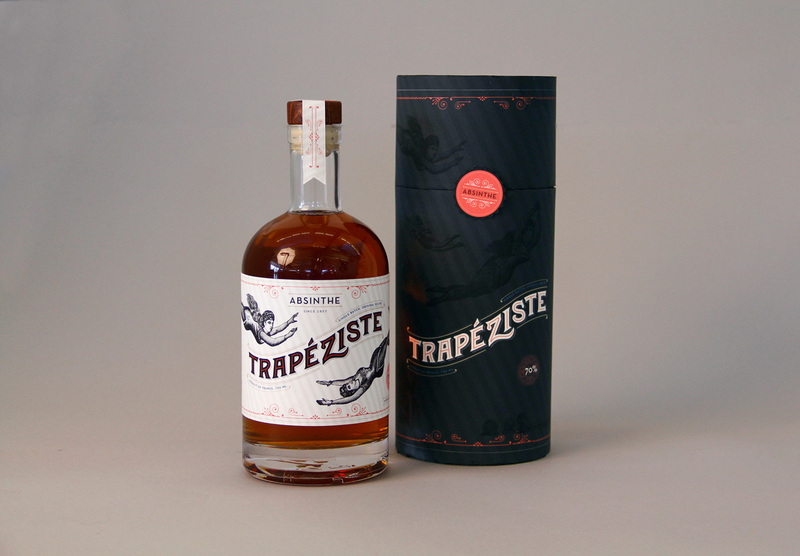 Trapéziste pulls upon this visual vocabulary by using illustrations from the late 1800s to creating a sense of swinging around the bottle. "Trapéziste" is a custom logotype inspired by circus typography from the 1850s. The bottle of absinthe is presented in a special gift tube. 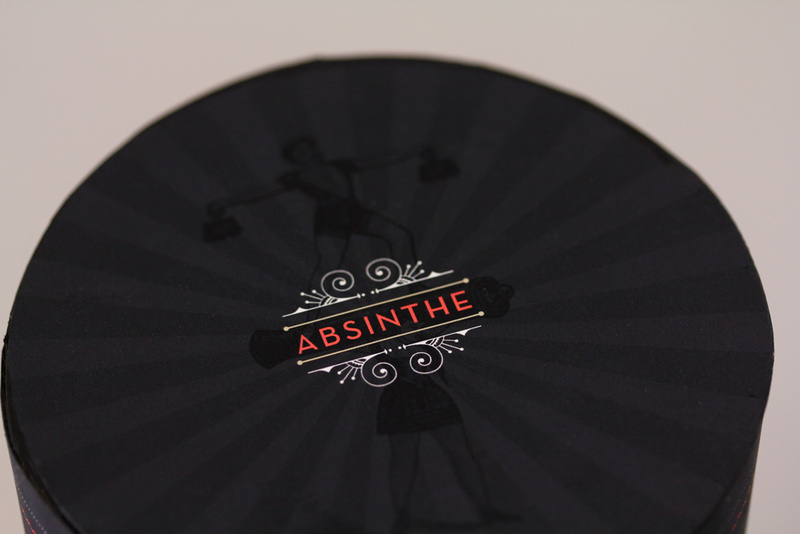 Trapéziste Absinthe was designed for a packaging design project at California College of the Arts. The goal was to create, name, and design a liquor brand.